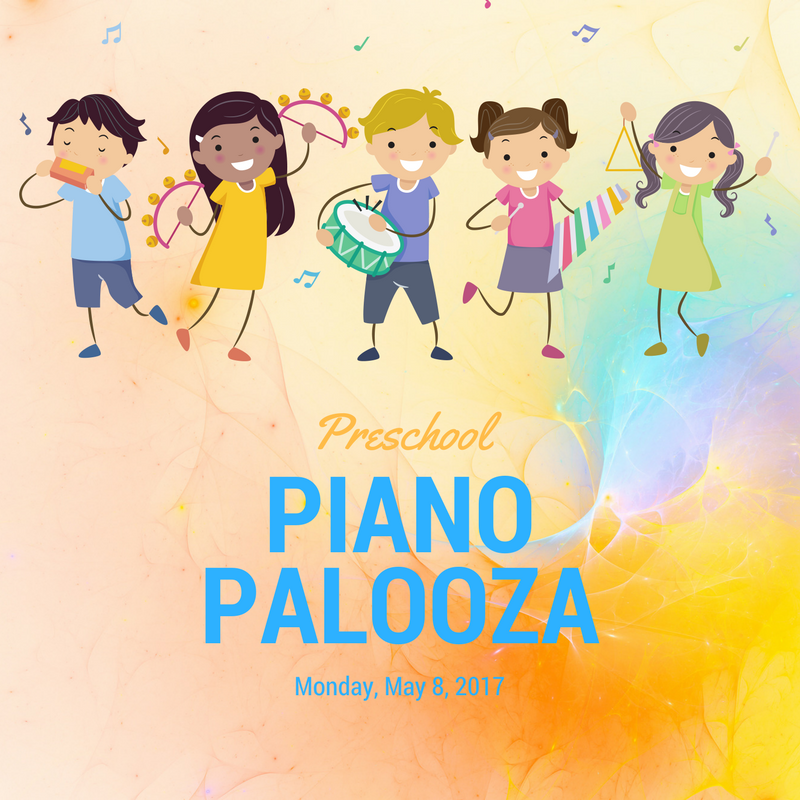 You're invited to come to our Preschool Piano Palooza! Watch your 3-5 year old play a real song on the piano, enjoy spring themed games, make a rhythm instrument, and explore music through singing, apps, and more in this FREE 30 minute class. This is a fun kickoff to our KiddyKeys program! Space is limited! Register online here (put "Palooza" in the skill level slot) by April 24th to reserve your spot! Looking forward to seeing you there!